We are bringing you the perfect giveaway for moms-to-be, new moms, and moms with little ones. 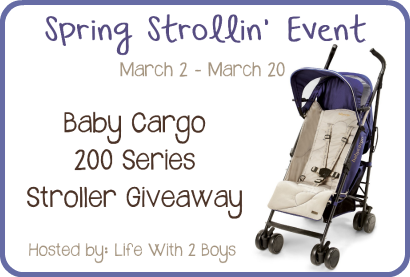 Welcome to the Spring Strollin’ Giveaway Event with your chance to win an awesome $149.99 valued stroller hosted by Life With Two Boys and co-hosted by Mom to Bed by 8! Put baby’s comfort first! One lucky reader is going to win a Baby Cargo 200 Series Stroller in their choice of color (ARV $149.99)! This giveaway is open to residents of the US and Canada, ages 18+. Giveaway ends at 11:59pm EST on March 20th. Disclosure: No compensation was received for this post. Giveaway Bandit is not responsible for prize fulfillment. 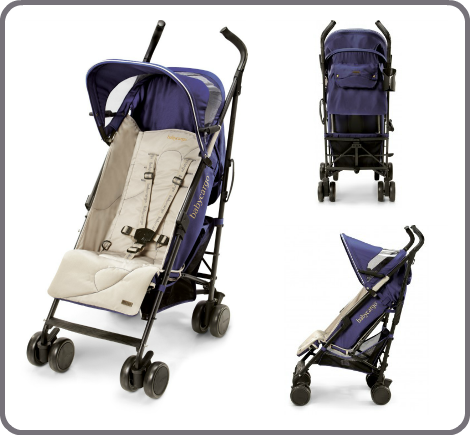 I like the Stroller 300 Series, Lightweight Umbrella Stroller in the Eclipse colors. I love the Georgi bag I have never seen that before! That is great its always so annoying to have diaper bag and purse and try to fit them in or on the stroller!! I like the Georgi bag. The Georgi Bag. I justlove it. The Georgi Bag. Gotta have it.